Pierre et al. (1994) studied the system in the X-ray, as part of RASS, and in the optical with the ESO 3.6 m Telescope. 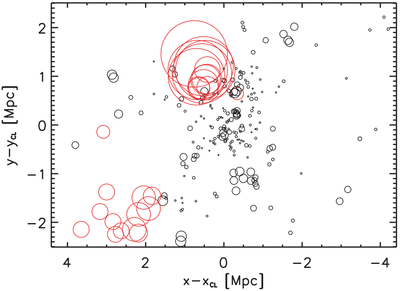 Of their 42 RASS cluster sample they found that it was the brightest at z>0.3, as well as being optically rich, extended and suggested a high velocity dispersion. Pierre et al. (1997) conducted a spectroscopic and photometric (BR) follow-up of the cluster. 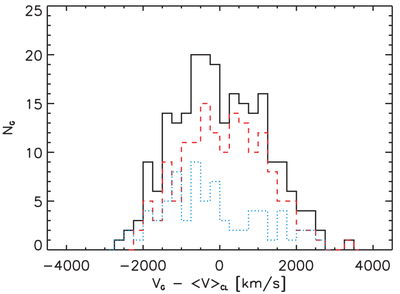 With 52 spectroscopic redshifts of cluster members they measured a velocity dispersion of 1210 km/s. 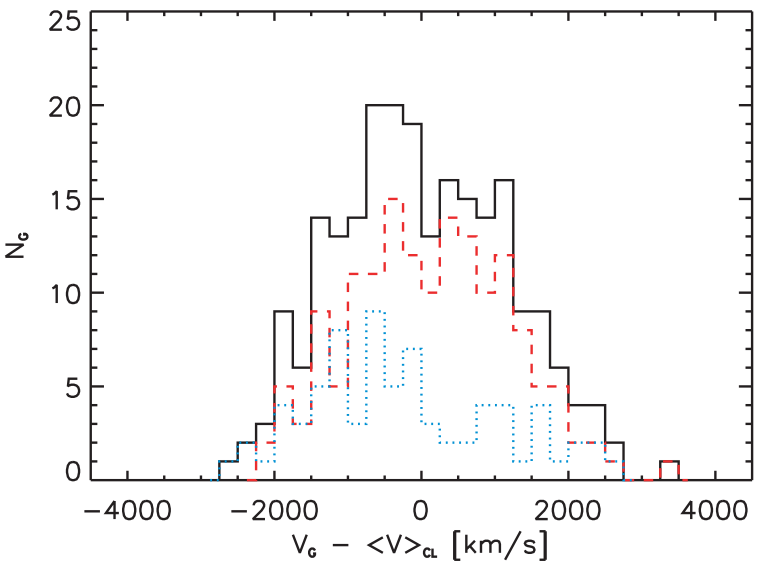 While they noted apparent substructure in 2D projected space, the velocity histogram was well modeled by a single Gaussian. Lemonon et al. 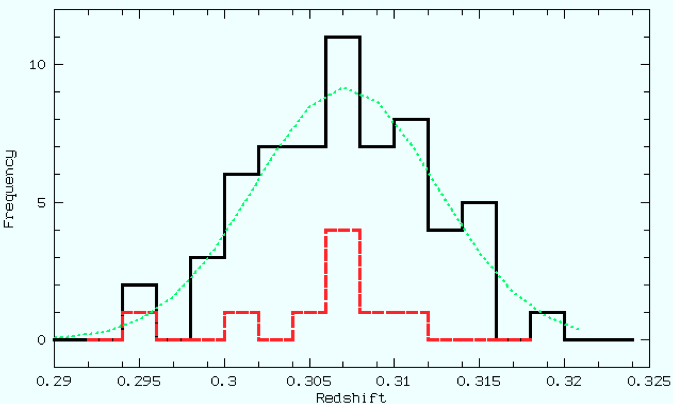 (1997) presented deeper ROSAT observations of the cluster as well as added 10 more spectroscopic cluster member redshifts from the previously unsurveyed northern cluster area. They argue that the multiple wavelength analysis strongly suggests that A1300 is a major cluster merger that occurred at an early epoch. 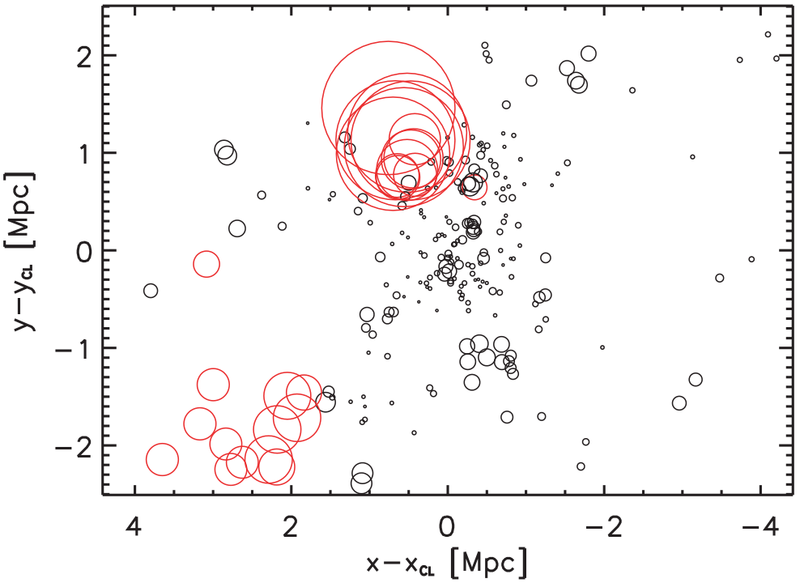 They argue that it is a merger where the clusters have already returned after their first pass through, since they do not detect an offset between the X-ray gas and the galaxies, nor do they detect evidence for substructure in the velocity histogram but the velocity dispersion is too large given the X-ray estimated mass. Reid et al. (1999) discovered a number of diffuse radio sources in the vicinity of the cluster. 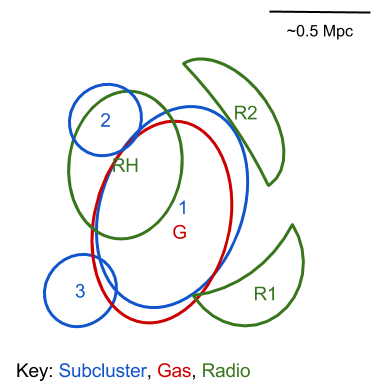 In addition to a number of tailed radio galaxies (along the north-south axis of the cluster, and one to the northwest), they argue that the diffuse emission to the southwest is a radio relic and that the central diffuse radio source coincident with ROSAT detected diffuse X-ray emission which they argue is a radio halo. Venturi et al. (2013) conducted GMRT follow-up observations of A1300 and largely confirm the Reid et al. (1999) interpretation. However they discovered another possible radio relic candidate to the northwest. 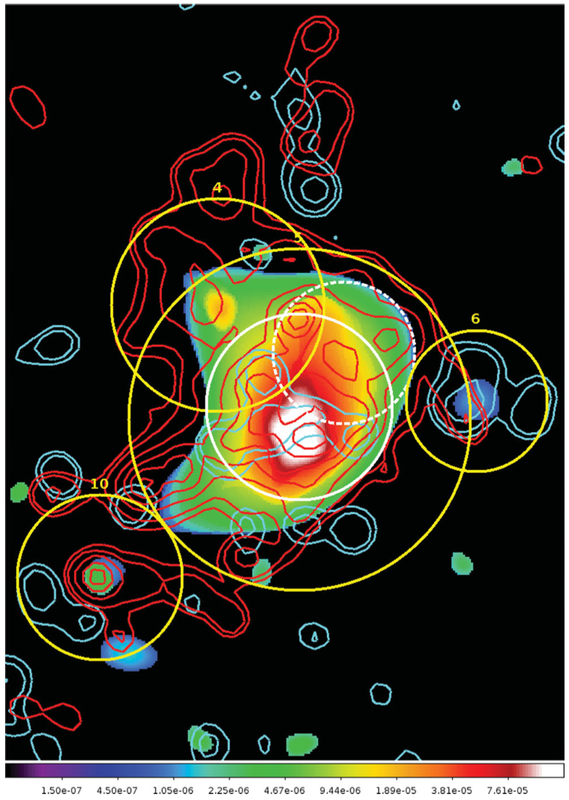 Unlike most mergers, two relics are discovered on one side of the system and the radio halo is offset considerably from the bulk of the X-ray gas emission (in the opposite direction). Ziparo et al. (2011) conducted a detailed optical/X-ray analysis of the system utilizing WFI imaging, VMOS spectra, XMM X-ray spectral imaging. They note that the X-ray surface brightness map of A1300 appears disturbed and exhibits the signature of a shock consistent with the radio observations. They also claim the detection of a large-scale filament in which the main cluster is embedded. Ziparo et al. (2011) compare their observations with existing simulations and argue that A1300 is a complex systems where a major merger occurred ~3 Gyr ago with continual minor mergers occurring as filamentary groups are feed into the cluster. Note that the galaxy density extensions to the northeast and southeast of the cluster center are inline with the two radio relics discovered by Reid et al. (1999) and Venturi et al. (2013). Based on Venturi et al. (2013) and Ziparo et al. (2011). Pierre, M. et al., 1994. 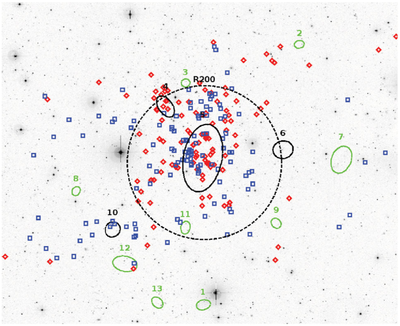 Optical observations of a ROSAT sample of clusters of galaxies. I. Techniques and X-ray/optical analysis. Astronomy and Astrophysics, 290, pp.725–752. Pierre, M. et al., 1997. 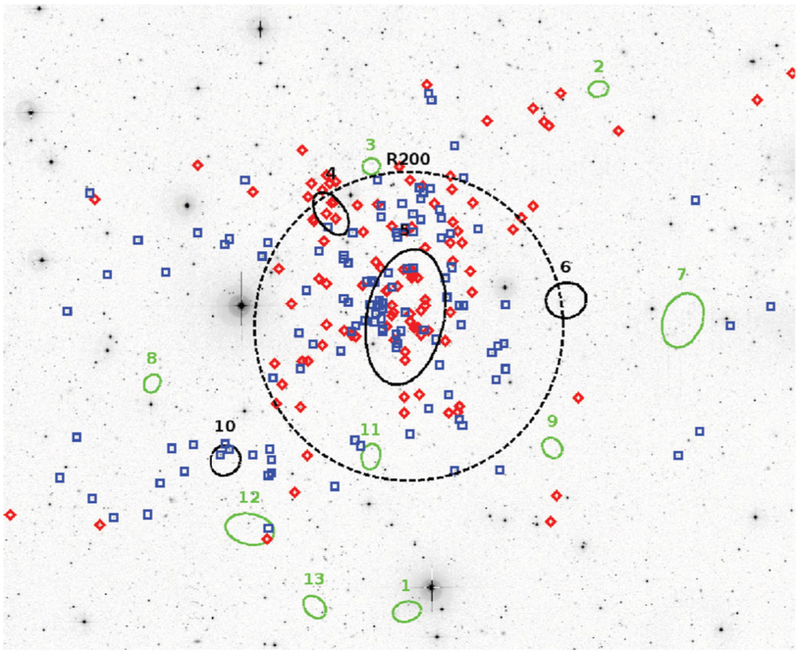 Spectroscopic and photometric study of the bright X-ray cluster A1300. Astronomy and Astrophysics Supplement Series, 124(2), pp.283–289. Lemonon, L. et al., 1997. 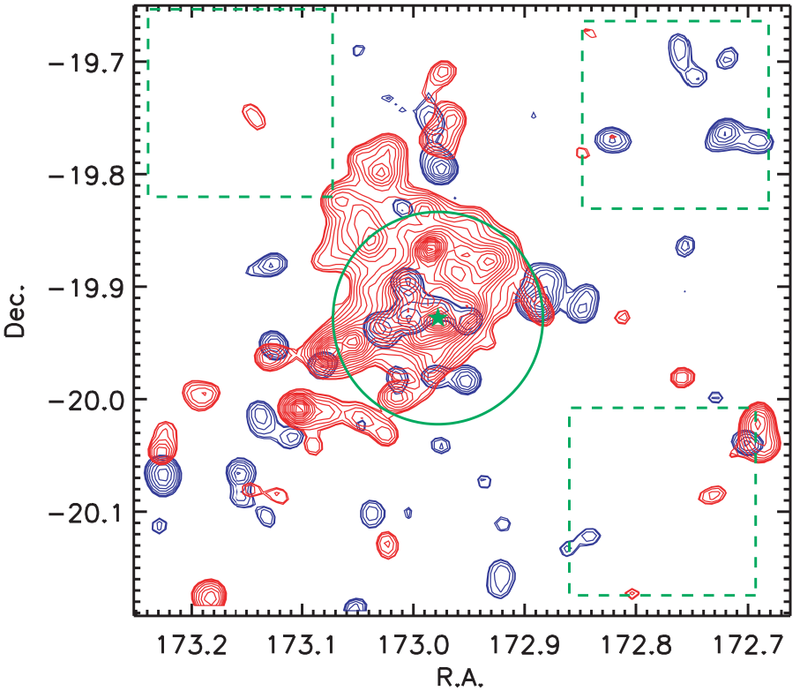 X-ray/optical analysis of the cluster of galaxies Abell 1300: indications of a post-merger at z=0.31. Astronomy and Astrophysics, 326, pp.34–44. Reid, A.D. et al., 1999. Radio study of X-ray clusters of galaxies--II. 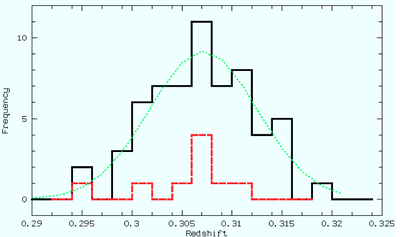 A1300: a post-merger cluster at z=0.31 containing a halo and a relic. Monthly Notices of the Royal Astronomical Society, 302(3), pp.571–581. Ziparo, F. et al., 2011. 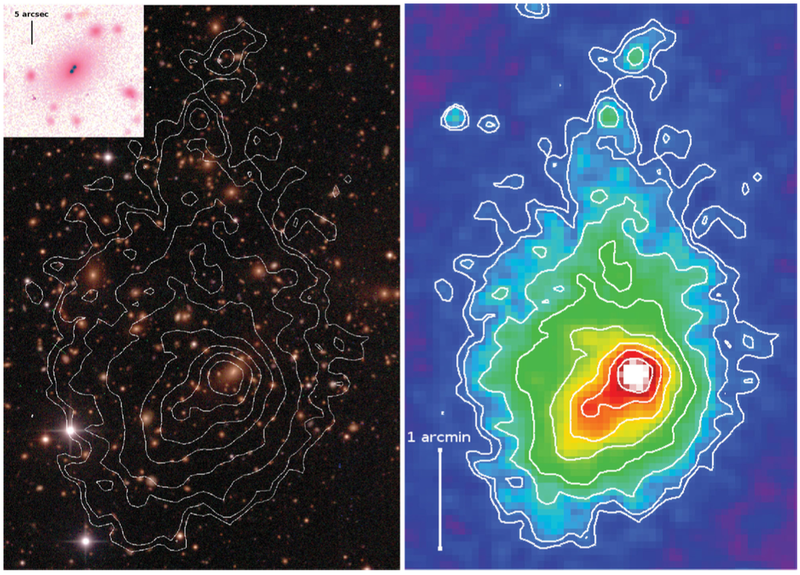 In the whirlpool’s coils: tracing substructure from combined optical/X-ray data in the galaxy cluster A1300. Monthly Notices of the Royal Astronomical Society, 420(3), pp.2480–2496.